Off the back of Gerd Janson’s re-work of Julie McDermott’s ‘Don’t Go’, Cr2 returns with another secret weapon. 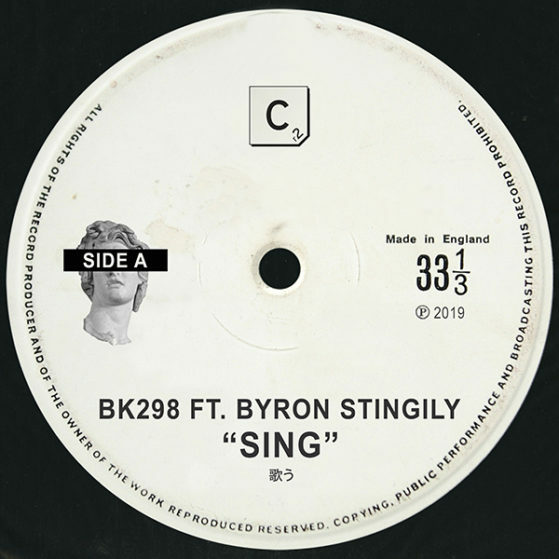 The mysterious UK duo BK298 deliver an exceptional new release ‘Sing’, featuring unmistakable vocals from Byron Stingily. Former frontman of seminal house act Ten City; house music heritage and esteemed for a career that has seen multiple Billboard chart positions with classic’s such as ‘Get Up’ ‘Why Can’t You Be Real’ and ‘Light My Fire’, Chicago house legend Byron Stingily lays down his classic vocals to a sure-fire festival anthem for the summer – ‘Sing’ is a UK break-beat, garage/house inspired tune featuring a raw yet slamming bassline throughout, adding his profound magic and subtle vocal prowess to create a certified club slammer.